Over the past two decades, the use cases for Python have grown. 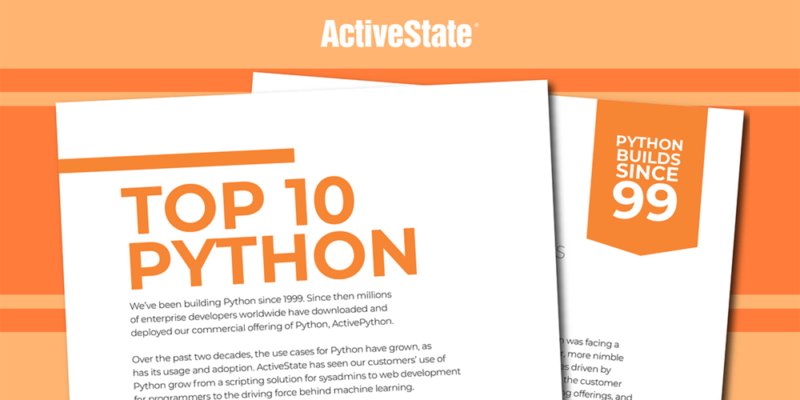 This paper covers 10 of the most common use cases by industry for Python that we’ve witnessed implemented by our customers. 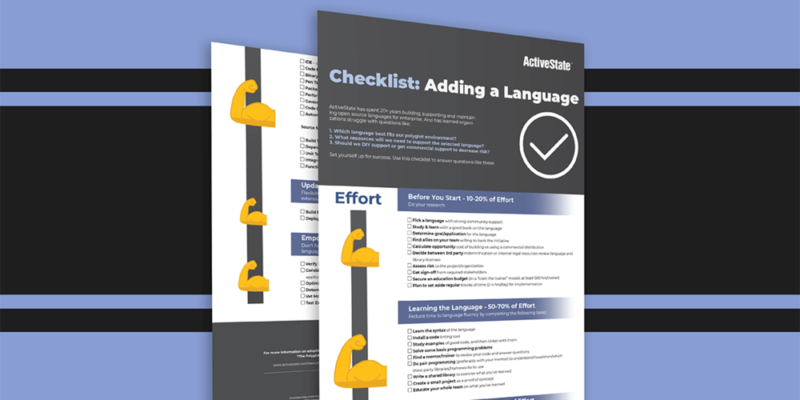 Use this checklist to assess which language best fits your environment, what resources are required to support the selected language and whether or not to outsource support. 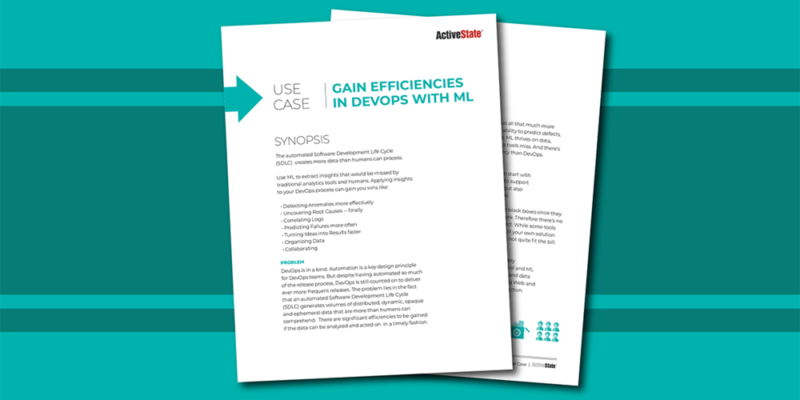 This Use Case discusses how you can apply Machine Learning (ML) to the data you’re collecting throughout your DevOps chain in order to detect anomalies, predict system failures, determine root causes, and more. Python 2 will soon be unsupported. 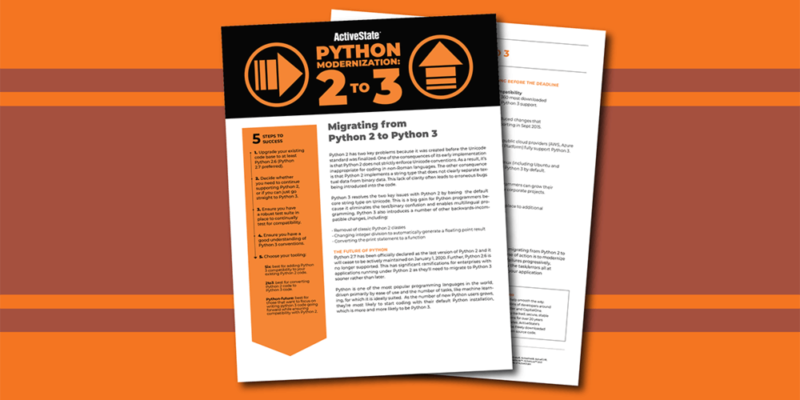 This paper discusses your options for moving your existing packages and applications from Python 2 to 3, along with best practice guidelines. When you build your own Python, you can waste days compiling, debugging, verifying dependencies, checking licenses, and so on, rather than coding. 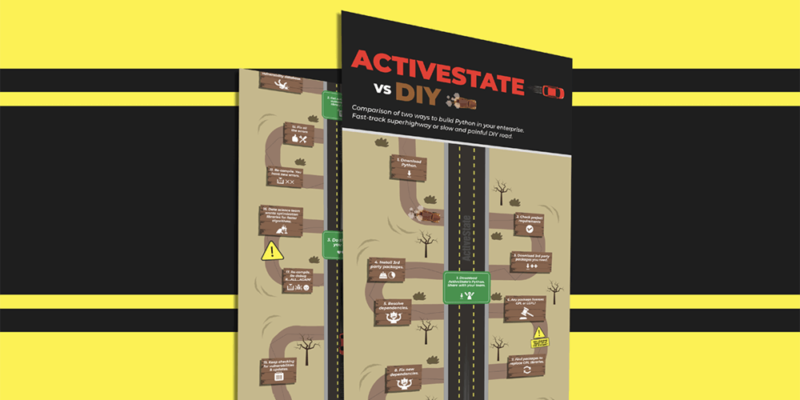 This infographic illustrates the pitfalls and offers a better way. The way to build, monitor and secure open source languages. 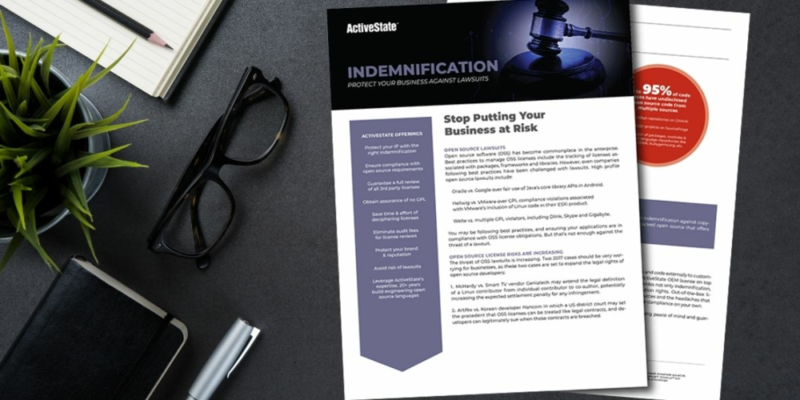 Deliver applications faster with lower risk. All your stake holders in the software development lifecycle (SDLC) are empowered and can retain control. Until now organizations needed multiple approaches to track open source software (OSS) dependencies, vulnerabilities, library versions and licenses. 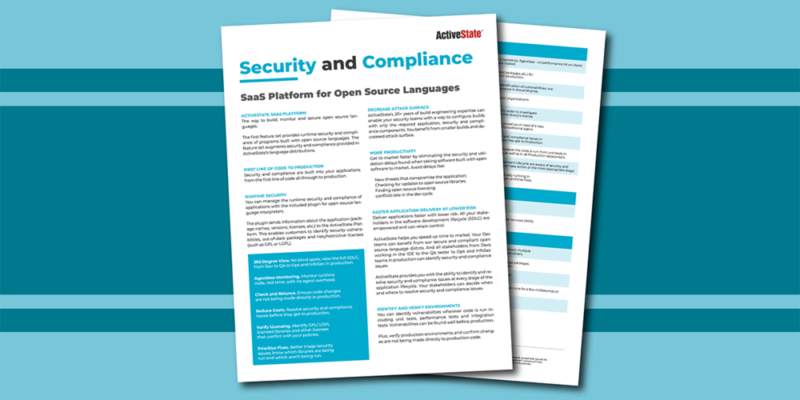 ActiveState enables you with a single Platform to centrally manage your open source languages. 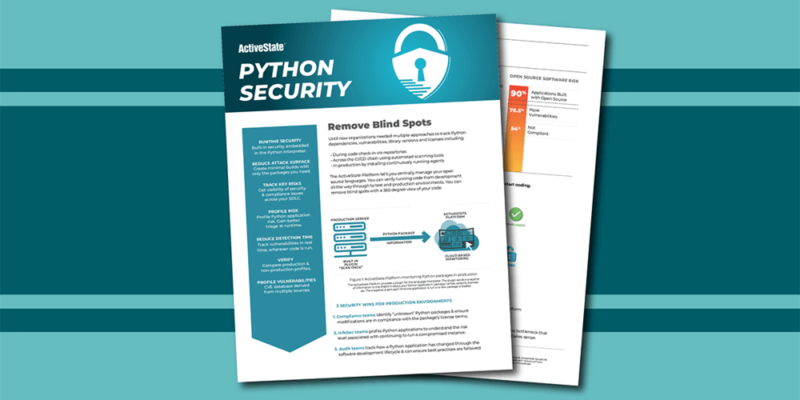 Lack of support for open source software often translates into security lapses, costly downtime, and disastrous loss of business reputation. 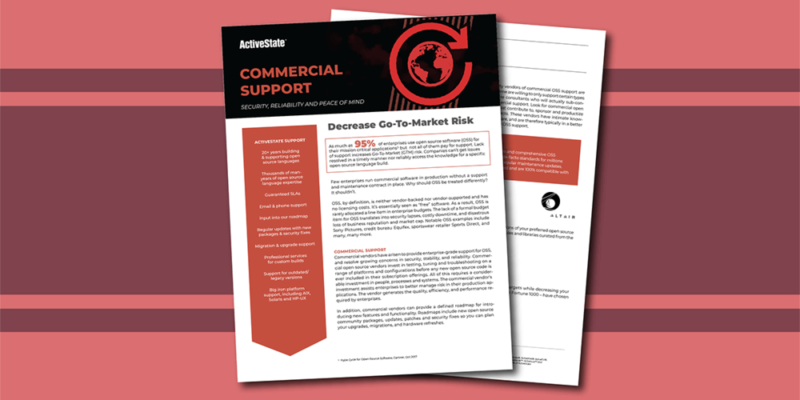 100% compatible with community open source code, ActiveState's language distributions offer guaranteed support SLAs and regular maintenance updates.